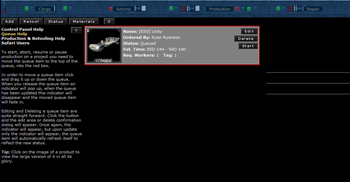 The Star Wars Combine is a free massively multiplayer online role-playing simulation game based on the Star Wars Universe, developed by amateurs in their spare time. This sentence summarises the concept behind this project, and great care must be taken with each and every word. The Star Wars Combine is an online game. Its purpose is to bring fun to the players by offering them a universe that they may immerse themselves in and forget, for a while, their real lives. The Star Wars Combine is massive. Its purpose is to welcome and gather thousands of players inside the same game, creating an extremely rich gaming environment. The multitude of players generates an unlimited quantity of interactions between them. The Star Wars Combine is about role-playing. When playing the Combine, the end-users are not only playing an avatar inside the universe; but also they are investing a part of themselves into what they would dream to be if they were living in the Star Wars universe. The Star Wars Combine is a simulation. A simulation is the partial implementation of existing mechanisms, from physics to economy, including politics, engineering, logic, and even socialization. The Combine is about Star Wars. The Combine is developed by Star Wars fans, for Star Wars fans. The purpose is to provide a Star Wars universe where fans may dream. The Star Wars Combine is a free game. Free for the end-users, free for the players, but this does not mean the Combine does not have to face financial charges. There are costs associated to such a project: financial costs as well as time investments. Finally, the Combine is developed by amateurs during their spare time. The entire project is only developed as side activity by some Star Wars fans. This particularity will have to be taken into consideration during the development phase. 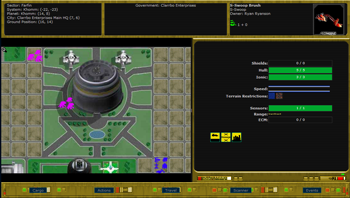 The Combine is a free online massively role-playing simulation game, based in the Star Wars universe, developed by amateurs in their spare time. This sentence already generated a full page of concepts. However there is more behind the Combine. Many other concepts derive directly from what sounded like a simple sentence at first. Create Star Wars character, choose race, skills, background. Assign skill levels from 5 different areas. Join the Galactic Empire or the Rebel Alliance and enter the Galactic Civil War, or pursue a career in the backdrop in more than fifty other groups as a simple merchant, smuggler, pirate, pilot ... the possibilities are endless! Have a chance to be Force sensitive and become a soldier of the light or a lord of the dark! 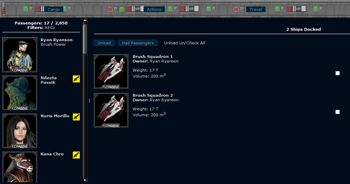 Buy and sell spaceships, space stations, vehicles, facilities, items, and weapons with other living players. Explore a vast galaxy of over 4,000 life-filled planets and visit the elegant cities of well-known localities like Corellia, Tatooine, Naboo and more, using a unique real-time movement system for ground travel, air travel, sublight and hyperspace travel. 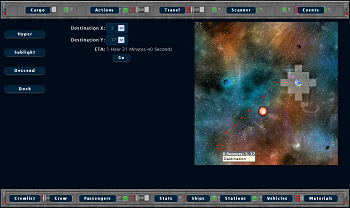 Use the graphical interface to move across the planet, moon, spaceship or space station you are currently on and watch as your ship enters a planet's atmosphere. Prospect planets and mine their raw materials. Build your favourite ships, vehicles, space stations, droids, items and weapons ... or recycle their wrecks into new raw materials. Post on the classified ads offering your services for all to see. Be a part of a vast community of over 4,800 members strong, visiting the message centre, helping to shape the progress of the Star Wars Combine with suggestions, role playing your character with others in many unique scenarios, or visiting the chatrooms for general chit-chat with other members. Personalize the Darkness Interface with a "skin" of your choice! Get a free, web-based holo-mail address to talk to your fellow combine members or anyone else on the internet. With many more upcoming features such as combat, research and development and creatures! Play the game, no matter whether you're on a Windows, Macintosh or Linux/Unix computer. For a full list of features, check below (implemented features are printed bold).